Kunming, Yunnan, December 28, 2015 /ChinaNewswire.com/ - Sofitel, the luxury hotel brand of AccorHotels has announced the opening of Sofitel Kunming, the latest addition to its portfolio in Greater China. The 400-room hotel is the only international luxury hotel in Kunming city centre, a dynamic emerging city that serves as a gateway between South East Asia and Yunnan province’s picturesque and culturally diverse destinations that includes Dali, Lijiang, Xishuangbanna and Shangri-La. Located in the Central Business District of Kunming, the hotel, located from 27th to 52nd floor, offers travellers a unique hospitality experience that incorporates French elegance and art de vivre combined with distinctive elements of Yunnan’s colourful ethnic cultures and traditions. 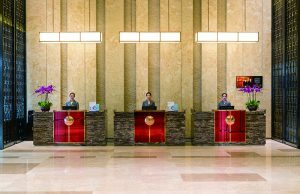 "The opening of Sofitel Kunming marks a period of swift expansion in China for AccorHotels, as we continue to strengthen our commitment to bringing world-renowned, exquisite French hospitality to discerning Chinese travellers," said Paul Richardson, Chief Operating Officer, AccorHotels Greater China. "Set to become the luxury benchmark in the gateway city of Kunming, the hotel is an ideal choice for travellers who enjoy world-class hospitality with an authentic French experience." Sofitel Kunming is located within the precinct of various popular tourist attraction sites such as Nanping Walking Street, East and West Pagodas, Green Lake, Dianchi Lake and shopping district. The hotel is also easily accessible to both Kunming International Convention & Exhibition Centre and New Kunming Dianchi International Convention & Exhibition Centre and it is a 35-minute drive from Kunming Changshui International Airport. 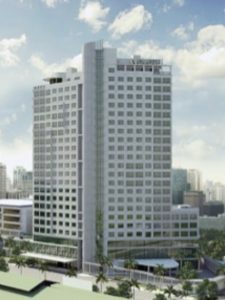 The 400 guest rooms including 42 suites offer guests unrivalled views of the city skyline and the rooms are furnished with the Sofitel MyBedTM, an exclusive bedding concept that provides guests a restorative sleep throughout the night, wireless audio system, large-screen TV, and WiFi access. The rooms feature unique designs inspired by a beautiful peacock which symbolises Yunnan’s Dai minority, and handcrafted leather wall coverings that conjure a chic Parisian apartment in the centre of Kunming. The hotel is also home to three restaurants and two bars. Le Chinois Chinese Restaurant serves authentic Yunnan, Cantonese and Sichuan dishes. Featuring a 360 degree view of the city skyline, Kwee Zeen showcases a selection of Chinese, international and French favourites with live cooking stations. Lan Pan Asian Restaurant offers guests authentic South East Asian cuisines, as well as a Japanese robata grill and soba noodle kitchen. Located on the 50th floor is the hip Parisian style lounge, Voyage Bar, offering spectacular views of the city skylines in the evening or simply relish over a cup of freshly brewed coffee or exquisite cocktail concoction and fine Valrhona chocolate cake at the Lobby Bar. From corporate events, gala dinners, wedding celebrations to meetings, the hotel boasts a state-of-the-art pillar-less grand ballroom, which can accommodate up to 800 guests and eight meeting rooms. Its unique outdoor garden and rooftop venue on the 52nd floor offer breath-taking mountain views and surrounding lakes making it ideal for distinct cocktail events, soirées and fashion shows, and perfect for couples seeking to tie the knot in an open and romantic setting with a trellised garden. For a complete rejuvenation, guests can also relax in the luxurious So SPA with L’OCCITANE that offers holistic treatments using L’OCCITANE products, or for a total work out, simply sweat it out in the hotel’s So FIT gym studio followed by a refreshing dip in the indoor heated pool that sits right beneath a glass ceiling panel. 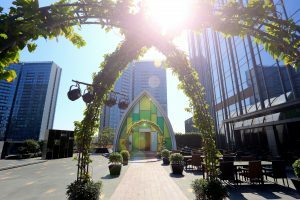 Shanghai, China, December 18, 2015 /ChinaNewswire.com/ - Samsung Electronics Co., Ltd and AccorHotels Group, the world’s leading hotel operator, announced recently a partnership to roll out Samsung’s SMART Hospitality Display technology across AccorHotels’ properties spanning 92 countries. As the preferred display provider for AccorHotels, Samsung’s UHD displays will be available in guest rooms and common areas, including lobbies, bars and restaurants. This technology upgrade will provide AccorHotels’ on-site staff with all-in-one tools and extended flexibility to deliver a tailored and visually-compelling guest experience. This partnership also enables AccorHotels’ properties, including the Sofitel, Pullman, Novotel, Mercure and ibis global brands, among others, to have access to an array of intuitive and premium hotel solutions. Among them is Samsung’s LYNK Hospitality Management technology, which creates a more convenient and pleasurable guest experience through home automation. Through the LYNK Hospitality Management platform, guests and staff receive greater control over different aspects of hotel and in-room environments, ranging from room lighting and energy use to personal services and workflow management. 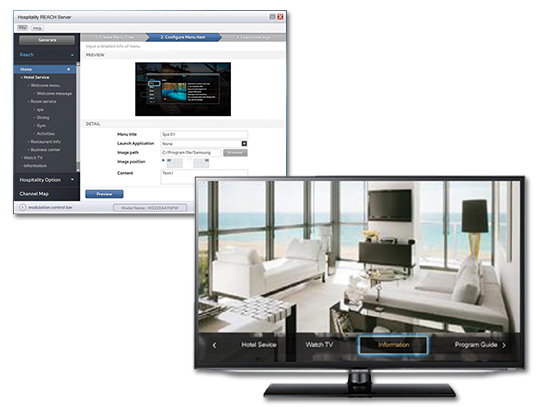 Additionally, the partnership will facilitate the implementation of a cloud-based wireless printing solution as well as digital content including video-on-demand (VOD) and streaming platforms. 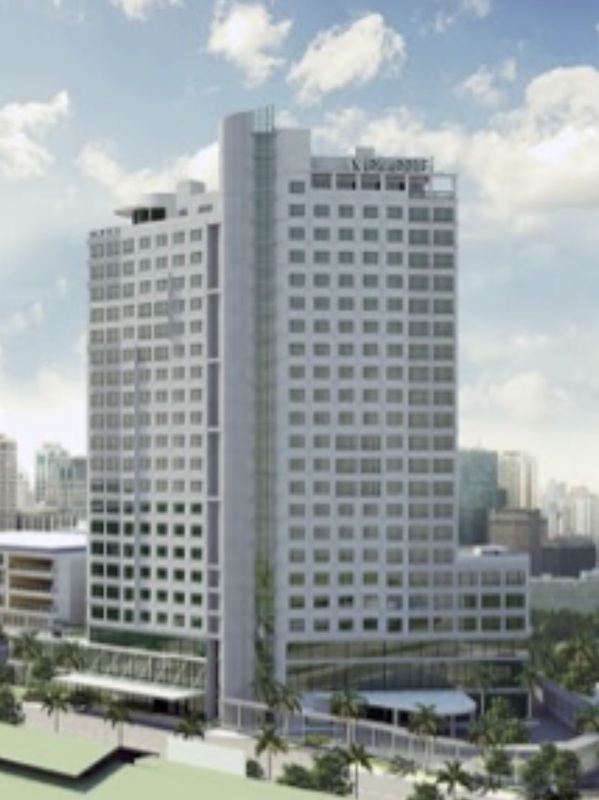 The preferred supplier agreement further extends AccorHotels and Samsung’s partnership to introduce modern and technologically-connected hotel concepts across the world. 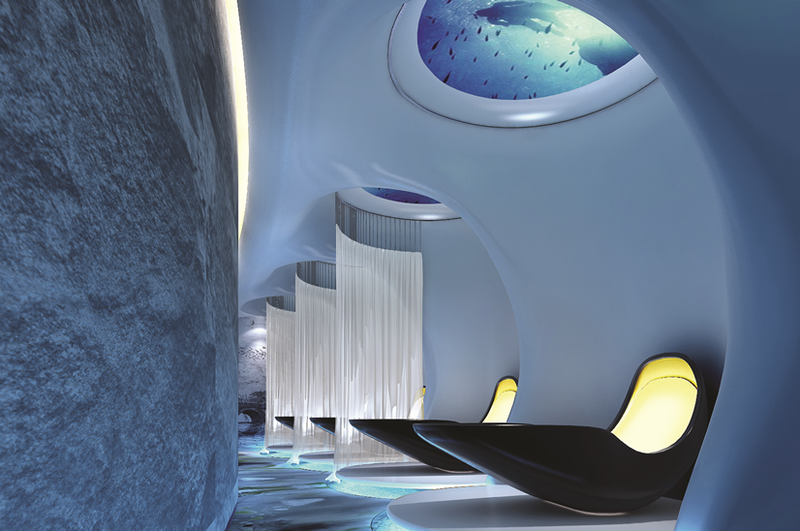 The two companies announced plans to design and build an experimental hotel in Seoul, South Korea, featuring state-of-the-art technology and multi-point connectivity for a more interactive guest experience. To learn more about Samsung Electronics’ SMART Hospitality display portfolio, please visit www.samsung.com. AccorHotels is a Group united by a shared passion for hospitality and driven by a shared promise to make everyone Feel Welcome. 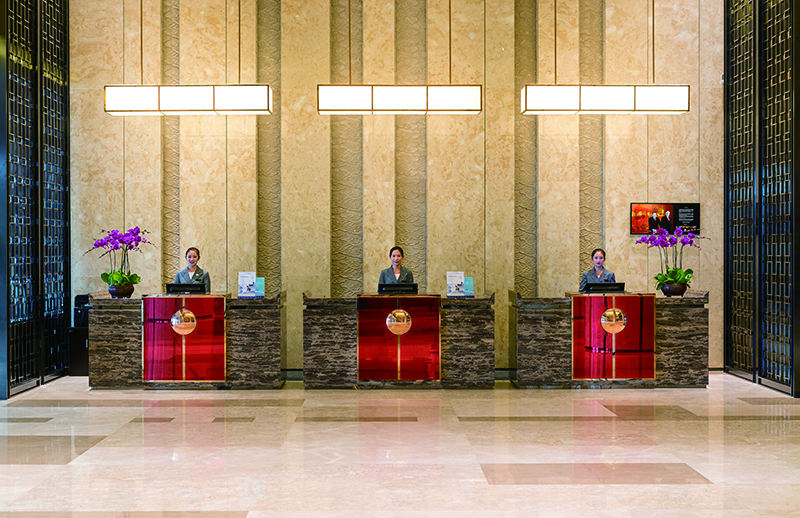 Over 180,000 women and men in 3,800 AccorHotels establishments look after thousands of guests every day in 92 countries. 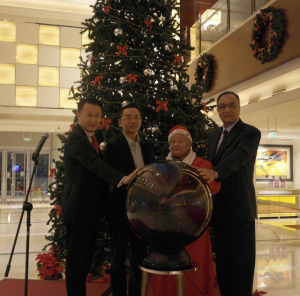 Beijing, China, December 16, 2015 /ChinaNewswire.com/ - New World Beijing Hotel has been named “Best Business Hotel” at the Voyage Best Hotel and Resort Value Awards and is included on the Top 50 Must-Stay Hotel List. Voyage is a leader in luxury travel magazines, designed for high-end travellers with a passion for exploring the world. Read by travel and business professionals throughout the region, Voyage has a monthly circulation of close to 900,000. 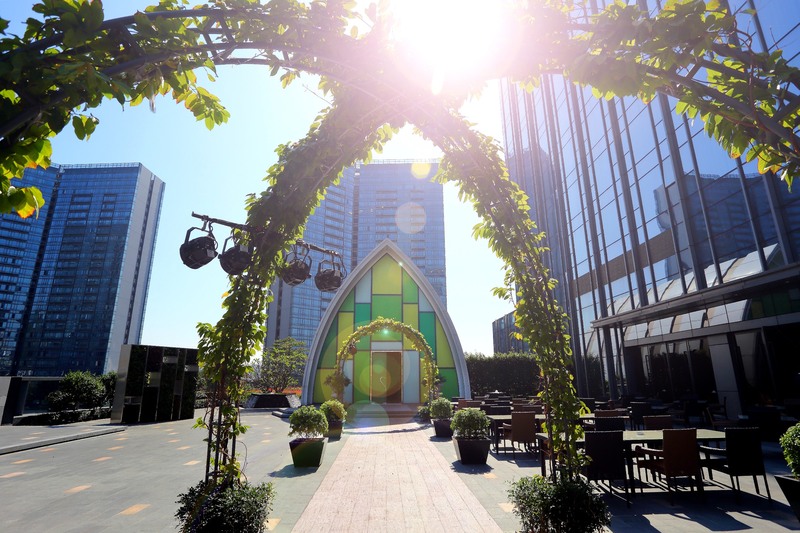 The prestigious “Best Business Hotel” honour is one of a great number of awards bestowed upon New World Beijing Hotel since the property launched two years ago. 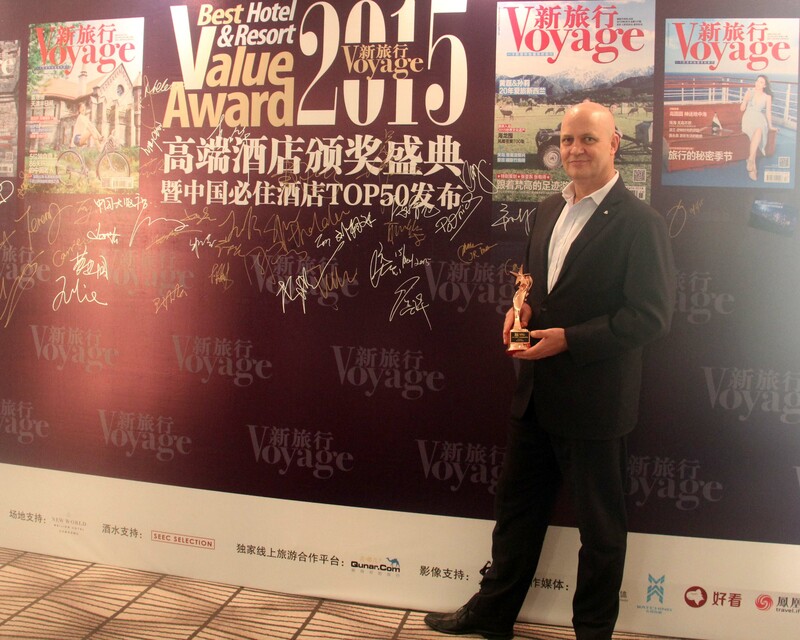 The Voyage Best Hotel and Resort Value Awards have become important travel industry recognition, since its inception in 2009. The annual event showcases stellar travel suppliers across airlines, hotels and resorts, and travel services in China. 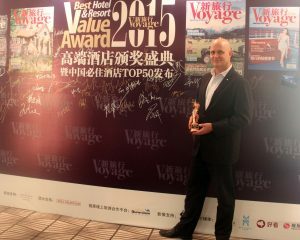 “We are very honoured to receive this award by such a prestigious magazine and look forward to welcoming the editors and readers of Voyage, along with travellers from around the globe, to our modern Oriental oasis in the heart of Beijing,” said Henrik Iversen, New World Beijing Hotel general manager. The 309-room New World Beijing Hotel is the closest deluxe hotel to Temple of Heaven, and is conveniently located near Tiananmen Square, the Forbidden City and the Wangfujing shopping district. Hotel dining includes Tian Tan Kitchen, an all-day café; 8 Qi Nian Chinese restaurant; TANG lobby lounge; and YIN on 12 rooftop bar. Recreational options include a health club, spa and indoor swimming pool while meeting space totaling 1,542 square metres includes a windowed ballroom and seven function rooms. The Residence Club executive floor offers the largest outdoor terrace amongst Beijing’s luxury hotels. For more information and reservations, please contact your travel professional, the hotel directly at telephone +86 10 5960 8888, e-mail [email protected], or visit newworldhotels.com.